Curious About Traditional Egyptian Cuisine? Here’s What You Need to Know! One of the first introductions to “Middle Eastern” food I had was Egyptian food at our local mosque. We had a small group of Egyptians who really knew how to cook! I can remember many potlucks where I would wait anxiously to see what these ladies would make to bring and I was never disappointed. 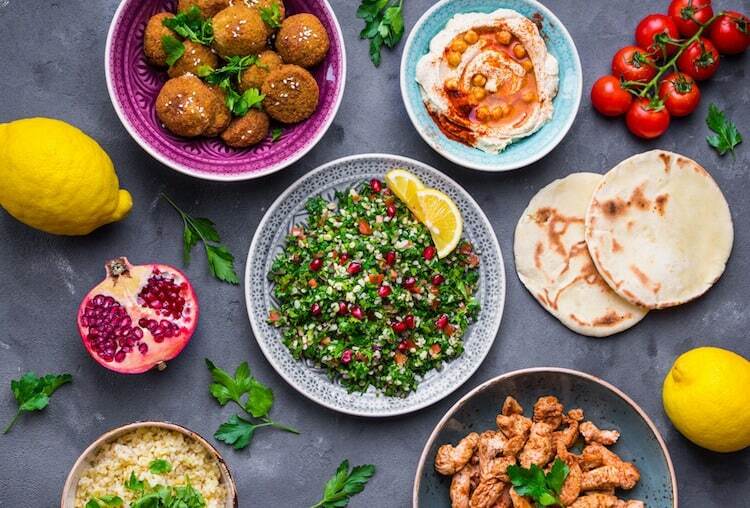 There is a wide variety of Egyptian food and if you’re planning to visit this historic country you should take time to eat as much as possible. Get an overview of what to expect (and look for!) with this post. When it comes to Egypt, the first thing that usually comes to mind are the pyramids, the ancient temples, and the Nile River. With such a rich history, it’s no surprise that these are the first things you think of. However, there is another aspect of Egyptian culture that is also pretty important to travelers: Egyptian cuisine. So what is typical Egyptian food? Where do you get the best Egyptian cuisine? And what are the must-try dishes? Here’s what you need to know. What is Typical Egyptian Food? Egyptian cuisine is a bit of a mix due to geography, history, and religion. Traditional Egyptian food shares a lot of similarities to the Eastern Mediterranean region and is very heavy in vegetables. Vegetables are an important part of traditional Egyptian cuisine both historically and in modern times. This is mainly in thanks to the rich farming soils along the Nile river and delta. Historically, vegetables were also traditionally much cheaper than meat, making them a more popular food choice and a staple in many traditional Egyptian dishes. Another important factor to consider is the Coptic Christian community of Egypt, who follow strict diets throughout the year that are essentially vegan. Meat is still widely available, with the most popular types of meat being rabbit, pigeon, chicken, and duck. Lamb and beef are also available, though they are usually used for grilling and not as common in the traditional Egyptian dishes. If you are travelling by the coastal areas such as Dahab, Alexandria, or Sharm el-Sheikh, you will also notice plenty of seafood options that you won’t find inland. Cheese is another important staple and is actually thought to have originally come from the middle east. In fact, cheese was found in a number of Egyptian tombs, some of which dated back to 3000BC. Cheese remains an important part of traditional Egyptian cuisine and is commonly served with breakfast and is an ingredient in some dishes and quite a few desserts. The most common cheese found in Egypt is domiati, which is a soft, salty white cheese. Egyptian cuisine is quite varied and has a rich history. However, a lot of the ingredients and recipes have stood the rest of time and are still found across the country today, often elevated, but still true to their historic roots. The obvious answer to this question is everywhere, but like in other countries, some spots just do it better than others. Your best bet is to ask your guides on your Egypt tours. Since they are locals and know the area, they will have the best recommendations for you and are a trustworthy source. Failing that, follow the locals. 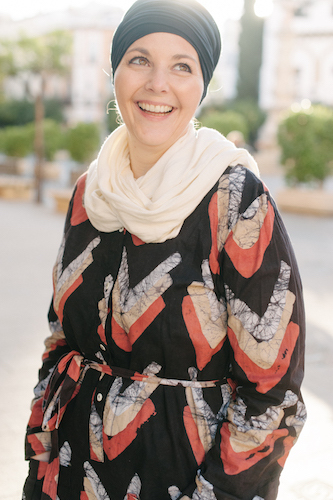 This is one of the normal trusted go-to ways of finding out the best spots to eat around the world and Egypt is no exception. You won’t find the locals at the fancy hotel restaurants. Instead, you will find them buying from the street vendors or ducking into small family run restaurants off the street. Depending on where you are, there may be a little bit of a language barrier however, pointing always works and the Egyptians are incredibly warm and friendly and will be happy to help you. Egyptian Bread: Bread may seem like a bit of a silly thing to list as a must-try, but once you have it you will understand. Egyptian bread is delicious, and it’s also an important part of almost every meal. 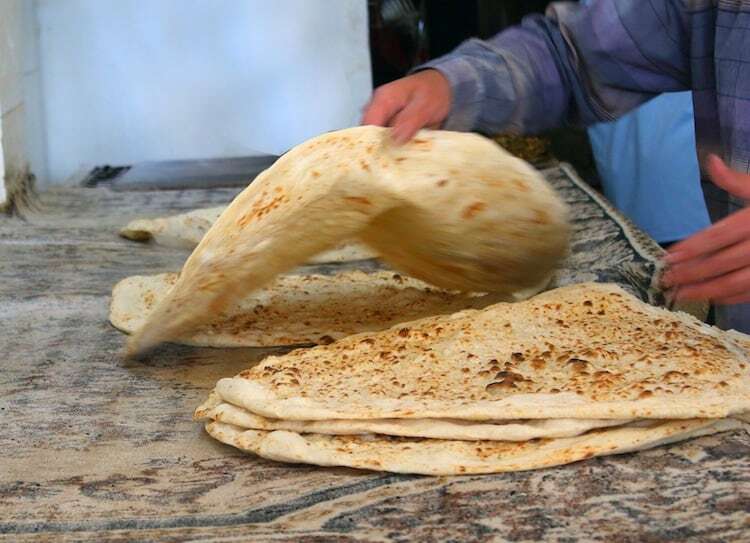 Traditional Egyptian bread is a thick pita bread called eish baladi and is often used as a utensil to scoop up food and sauces or to wrap kebabs and falafel. 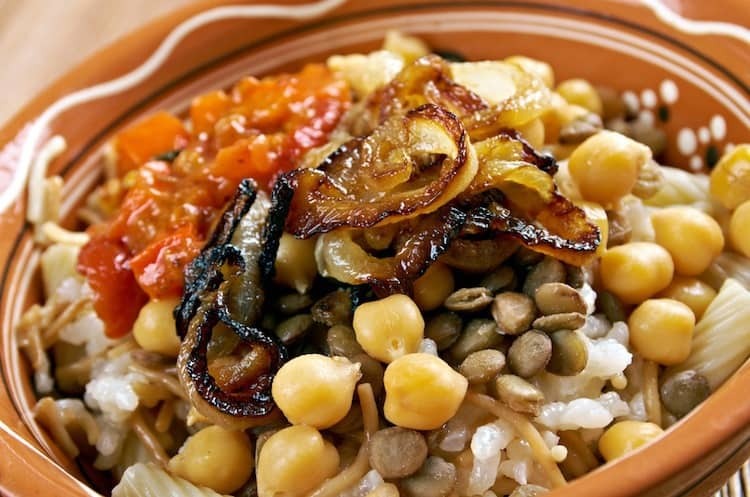 Kushari: Kushari is one of those dishes that sounds super strange but somehow manages to taste delicious. It’s a combination of spaghetti, macaroni, onions, lentils, garlic, tomato sauce, chilli sauce, and more all mixed together. It’s thought that Kushari dates back to the 19th century and was created based on an influence of both Indian and Italian cuisines. But while it may not be as historic as other dishes, it is much loved across the country. There are some Kushari restaurants but normally it is sold as a street food. Ta’meya and Ful Medames : Ta’meya is Egyptian fava bean falafel that is fried and served with tahina and Egyptian bread. They can be eaten with breakfast, lunch, and dinner but are most often served as an accompaniment to another Egyptian fava bean dish called ful medames. Ful medames is cooked fava beans with vegetables and spices. It’s a staple in Egyptian culture and is thought to date back to ancient Egypt. Kebab and Kofta: If you are a meat lover then you are going to enjoy Egypt’s kebabs and kofta. Egyptian kebab is usually prepared with grilled lamb or veal while kofta is also grilled but made from minced meat. Both kebab and kofta are traditionally served with Egyptian bread, salad, and tahina. Om Ali: Egypt has a number of delicious desserts but if you are only going to try one, then make it Om Ali (sometimes also spelt as Umm Ali). This sweet treat consists of layers of puff pastry that has been soaked in milk, nuts, raisins, coconut, and sugar that is baked in an oven. Many of Egypt’s desserts are influenced by other cultures but Om Ali is purely Egyptian. Tea is the national drink in Egypt and holds a special spot in Egyptian culture. Tea is enjoyed throughout the day both during meals and in-between. It is also very customary to offer tea to guests, including at local shops. If you are lucky, a friendly local will invite you to tea is their home. An invitation that you definitely should accept as it makes for a fun local experience. Despite its popularity, the tea you will drink and find for sale in Egypt does not actually come from Egypt. The majority of Egyptian tea actually comes from Kenya or Sri Lanka, though the Egyptian government does run some large plantations in Kenya for this purpose. There are two main types of tea in Egypt. Koshary tea which is black tea steeped for a few minutes then sweetened with sugar and flavoured with mint leaves. Milk may or may not be added. Koshary tea is quite light. In comparison, Saiidi tea is very heavy. It is often steeped for at least five minutes and heavily sweetened with sugar. Koshary tea tends to be more popular in northern Egypt while Saiidi tea is preferred in the south of the country. Black tea is the most common tea in Egypt, however, tisanes and herbal teas can be found as well. These are often consumed for their health benefits. 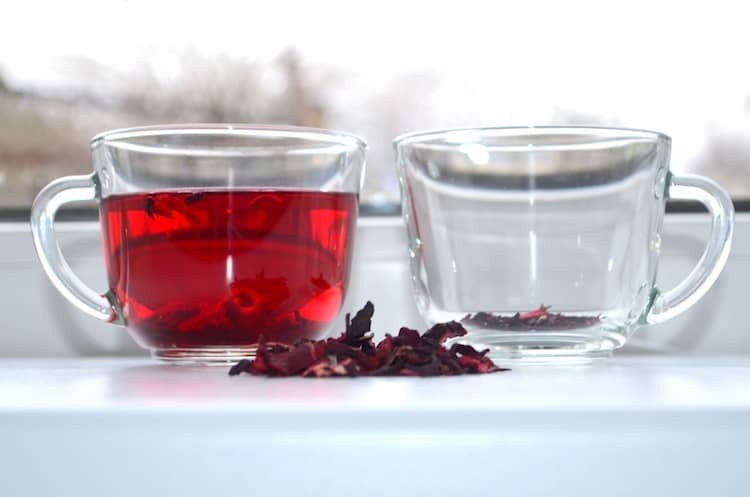 Mint, cinnamon, and ginger tea are readily available as is hibiscus tea (which can be drunk hot or cold). Green tea is not common in Egypt. Egyptian also makes for a great souvenir to bring back for friends, family, or even yourself. The best places to buy Egyptian tea is at the local markets in Aswan. Make sure to haggle and, if you have a guide, ask for advice about how much it really should cost you before you express interest. Egypt is an incredible country with so much to see and do. However, while the historical sites and attractions may be the main reason for your visit, don’t forget about the local food! It will only enhance your Egyptian experience. Kushari sounds strange and amazing all in one! This food looks and sounds great, so hungry for some Egyptian Cuisine!